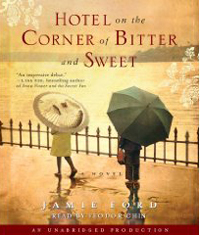 Former Bainbridge Review's art director Jamie Ford has hit a homerun with his debut novel Hotel on the Corner of Bitter and Sweet, (2009). The book, already a national best-seller, reflects some of Ford's own family history, his fascination with Seattle, and buried secrets in families. Lisa See, bestselling author of Snow Flower and the Secret Fan, describes Ford's novel as "... the beauty and sadness of what happened to Japanese Americans in the Seattle area during World War II, and the depths and longing of deep-heart love. An impressive, bitter, and sweet debut.” Kirkus Review calls the book "A timely debut that not only reminds readers of a shameful episode in American history, but cautions us to examine the present and take heed we don’t repeat those injustices." 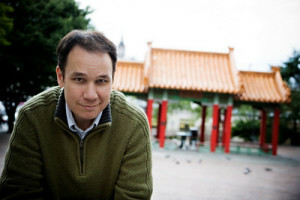 For more information on Jamie Ford go to http://www.jamieford.com/.